Ten-year-old Copper Daniels and her mama wake up to a crisis at their cemetery home – a missing body, followed by an arrest. The homeless girl faces a possible future in either foster care, or worse – juvie. Will the missing body be found, and will Copper survive with her family still intact? 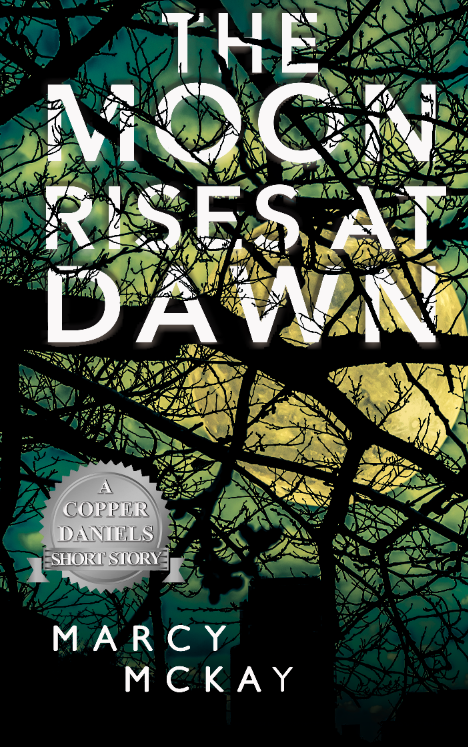 The Moon Rises at Dawn is the short-story prequel to Marcy McKay’s novel, Pennies from Burger Heaven (Copper Daniels Book #1).